Online education provides access to IOE i.e Internet of Everything. 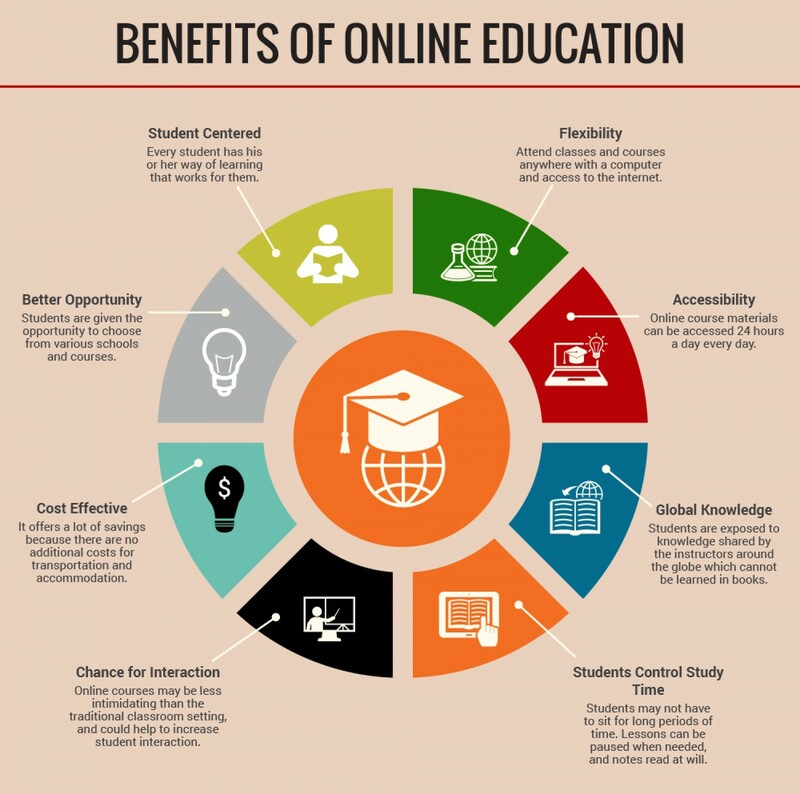 Online education provides learners with wide variety of courses as well as they can choose what they want to learn. Self paced learning means the students can learn at their own speed. They can achieve their targets at any time and can learn gradually not limited by any time barrier. Online education is always pocket friendly as there is no need to commute from place to other. The students can access the programs at home. There is no need to buy books as all the information is provided to the students online. Commercials showing students studying in pyjamas are only one of the primary benefits of online education; there is no need for physical class sessions. Students no longer need to fight traffic, find parking spaces, leave important work & miss important family time. While there is a myth that traditional teaching methods are better than online teaching methods, one thing is for sure : online education provides shy students the opportunity to participate in class discussions with more ease than face to face class sessions. Some students even report that online courses are easier to concentrate in because they are not distracted by other students and classroom activity.